At Edgewood Farm Collective we help to build local food systems. We explore organic, regenerative farming in tandem with conservation on this family owned farm. Conservation practices including CRP/CREP, moist soil units/wetlands, native grasses/forbs planting, shelter belts, and filter strips. This promotes wildlife habitat, prevents erosion, increases soil health, and improves watersheds. Farming is divided into Edgewood Farm Organics cultivating MOSA certified organic vegetables distributed through our CSA serving the Chicago suburbs and the farmer's market in Rockford, IL. Edgewood Organic Grains aims to cultivate healthy soil via MOSA certified organic grain rotation of corn, soybeans, red winter wheat and hulless oats. A special place we love to share with folks, come visit us on the farm! Whether you are looking for classic country or rustic elegance, the varied landscape of Edgewood Farm is the perfect backdrop for your big day! Utilizing organic farming methods to foster healthy soil, plants, and people! 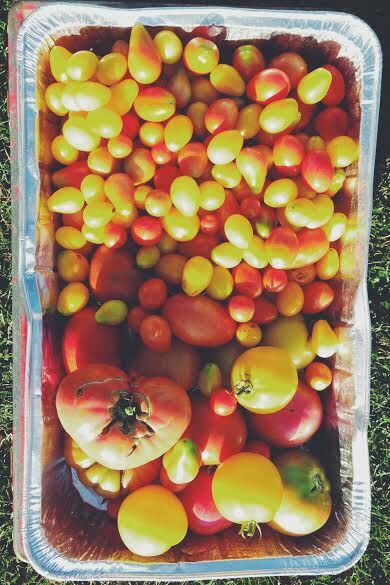 Learn more about CSA Farmer Katy and her weekly boxes of farm fresh produce during growing season. Stories and discoveries from the land.